Each gift you make helps a family receive decent, affordable shelter. All donations to Habitat for Humanity of Morgan County are tax-deductible as allowed by law and will be acknowledged with a letter you may use for those purposes. Donate online – it’s easy and secure. FUND A HOUSE TODAY! Companies and civic organizations partner with others in many ways to empower the Habitat for Humanity of Morgan County to build homes with future Habitat homeowners. SPONSOR A HOME. 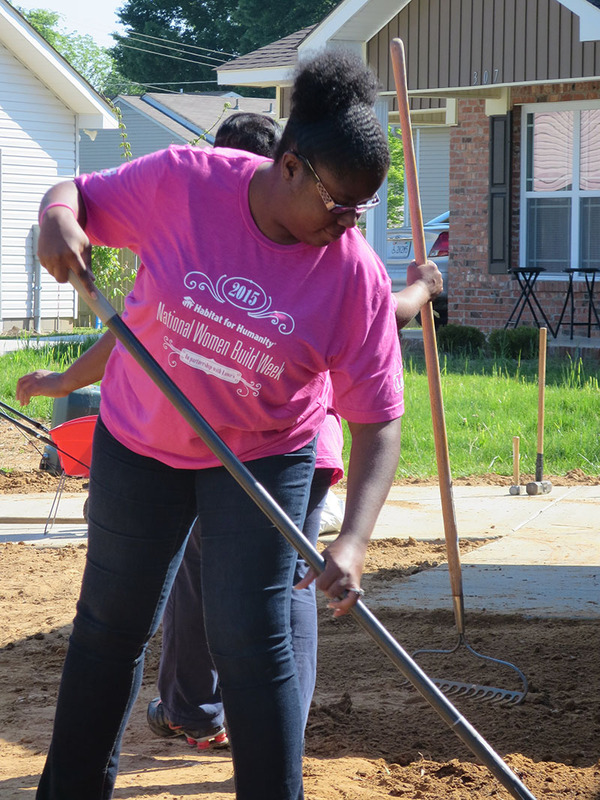 Churches and faith-based organizations come together to build homes each year. LEARN HOW YOUR CONGREGATION CAN HELP. The ReStore accepts donations of new and used furniture, lighting, appliances, home décor, and other household items. DONATE YOUR HOME GOODS. If you shop Amazon or Kroger, it’s easy to designate HFHMC as your community group. Each time you shop, these organizations donate to us! UPDATE YOUR ACCOUNTS TODAY. Donate by mail or phone, matching gifts, and planned giving options. DISCOVER OTHER WAYS TO GIVE. Is your organization looking to collect supplies to donate in a drive? We have a wish list of items that are always helpful. VIEW OUR WISH LIST. Donate today to help a family build a better tomorrow. Companies and civic organizations partner in many ways the Habitat for Humanity of Morgan County to build homes with future Habitat homeowners. Full House Sponsorships – An investment of $70,000 builds a home. Your volunteer teams may do the construction as well or we’ll work with you to schedule other teams if needed. Coalition Builds – Your company or organization may partner with others to build a home. Investment and benefit levels will vary. Adopt-a-Day Experience – Great for team building, the Habitat Adopt-a-Day is an opportunity for your group to cover the cost of building materials for your workday. These are just a few of the ways Habitat partners with organizations to provide meaningful charitable giving and volunteer opportunities. Please contact Landis at 256-340-9609 ext. 222 to discuss what works best for you. As an organization based on Christian principles, Habitat for Humanity of Morgan County partners with local churches and other faith-based organizations to build homes. 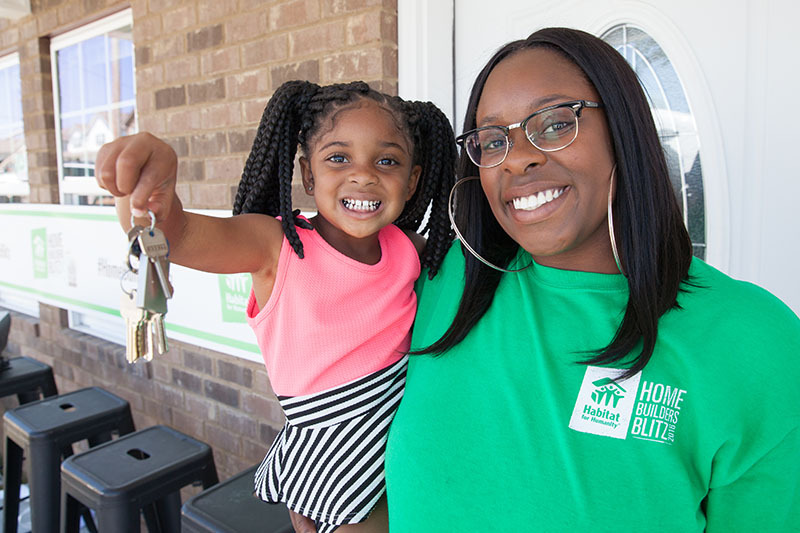 Volunteers from your team work side by side with future Habitat homeowners to help them achieve a better, healthier, more financially stable life. Please contact Landis at 256-340-9609 ext. 222 to get involved today. Shopping through AmazonSmile is another way to raise funds for Habitat. AmazonSmile is a website operated by Amazon that lets customers enjoy the same wide selection of products, low prices, and convenient shopping features as on Amazon.com. The difference is that when customers shop on AmazonSmile (smile.amazon.com), the AmazonSmile Foundation will donate 0.5% of the price of eligible purchases to the charitable organizations selected by customers. Be sure to enter “Habitat for Humanity of Morgan County, AL” when searching. If you are a Kroger shopper, our Habitat can benefit every time you use your Kroger Card. You simply designate Habitat for Humanity of Morgan County as your charitable organization. When you use your Kroger card, the company’s foundation makes a contribution to Habitat for Humanity of Morgan County. For more information about these opportunities, call Landis at 256-340-9609, ext. 222. To make a credit card donation by phone, call 256-340-9609. Gift announcement cards acknowledging honorariums and memorials are also available with your phone donation. Ever wish you could multiply your gift to Habitat for Humanity of Morgan County? Here is a way – employer matching contributions. Thousands of companies have Matching Gift programs which double, or even triple individual, tax-deductible contributions made by their employees. Ask your personnel office about your company’s Matching Gift program. Many of our partners support Habitat through planned gifts, which may qualify for significant tax deductions. Giving options include bequests, charitable gift annuities, and charitable remainder trusts. To find out how you can financially benefit Habitat for Humanity of Morgan County and provide a lasting legacy, contact our office at 256-340-9609. A charitable gift of stocks or bonds provides an opportunity for tax savings while generously sharing with others. A gift of stock owned for more than one year entitles you to a charitable deduction for the full market value at the time the gift is made. If the stock has appreciated, you also avoid a capital gains tax on the appreciation. In addition to helping Habitat for Humanity of Morgan County, you may diversify away from low-basis, long-term holdings into other assets that will better suit your current needs. If you would like to discuss a gift of stocks or bonds, please call our office at 256-340-9609. Have land you’re not sure what to do with? Consider Donating Land. Thank you for considering Habitat for Humanity of Morgan County as your charitable giving choice!